If you’re looking for a getaway that takes you far away from the city and into the lap of nature, this Dhanaulti adventure camp is the perfect destination for you. 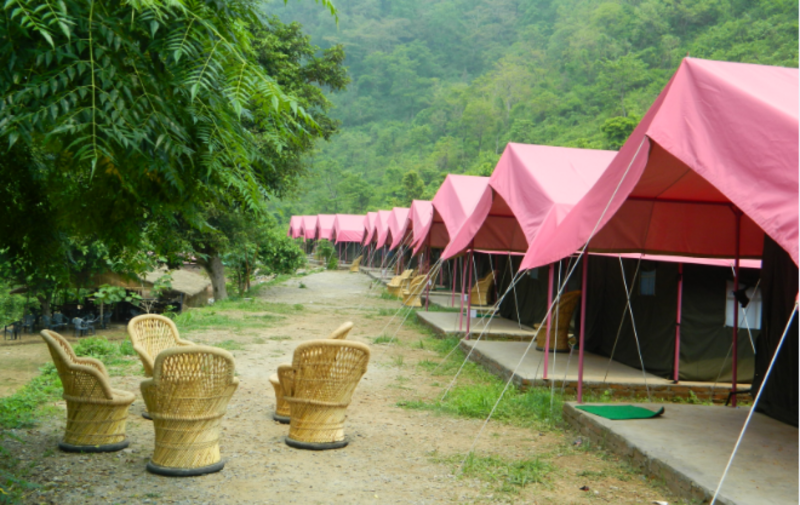 For 3 days among the green mountains of Uttarakhand, you'll stay in comfortable Swiss tents and enjoy a roster of adventure activities on offer, from air rifle shooting and zorbing to rappelling and paintball. The campsite also offers indoor games like chess and carom and outdoor sports like badminton and volleyball. In the evening, you'll gather around a crackling bonfire with your family or group of friends and spend a merry night outdoors, under the starlit night sky. 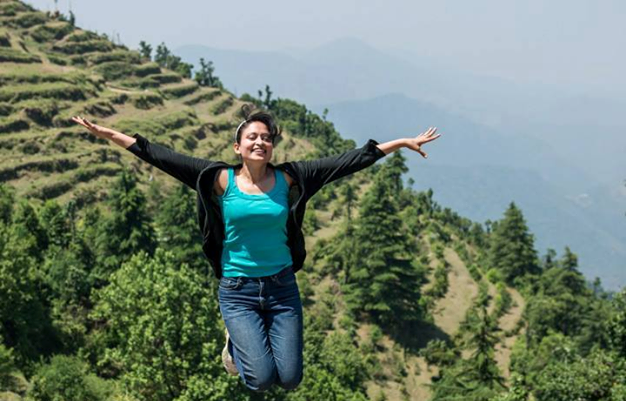 • Escape the urban crowd for three days in Dhanaulti. Arrive at the Dhanaulti campsite and check-in to your Swiss tents by noon. You'll be greeted with a welcome drink on arrival. Spend the rest of the day at leisure. After a delicious lunch, you can take some time to rest in your comfortable tents or take an afternoon walk to explore the campsite and the surrounding woods. In the evening, you'll gather around a crackling bonfire with your family or group of friends and spend a merry night outdoors, under the starlit night sky. Retire in your tents after dinner. Overnight in Swiss tents at the Dhanaulti campsite. Wake up to a day full of adventure activities at the campsite. 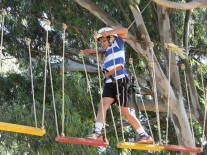 After breakfast, you can participate in one of the many adventure activities at the campsite. From air rifle shooting and zorbing to rappelling and paintball, you can spend the afternoon enjoying with your group. Take a break for lunch. The campsite also offers indoor games like chess and carom and outdoor sports like badminton and volleyball. In the evening, you'll gather around a crackling bonfire with your family or group of friends and spend a merry night outdoors, under the starlit night sky. Retire in your tents after dinner. Overnight in Swiss tents at the Dhanaulti campsite. You'll be accommodated in the same Swiss tents as yesterday. Today's meal package includes breakfast, lunch and dinner. You'll also be served snacks with tea in the morning and evening.